The United Nations Legal Counsel, Mr. Serpa Soares, ended the year by showing his strong support for international criminal justice. On 8 December, he delivered the Secretary-General's welcoming remarks at the opening of the 13th Assembly of States Parties to the Rome Statute of the International Criminal Court. On the preceding Friday, Mr. Serpa Soares accompanied the Secretary-General in his meeting to bid farewell to the outgoing President of the ICC Assembly of States Parties, H.E. Ambassador Tiina Intelmann of Estonia, and to welcome the incoming new President of the ICC ASP, H.E. Mr. Sidiki Kaba, Minister of Justice of Senegal. 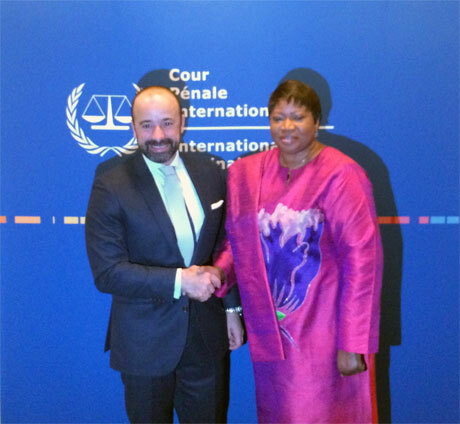 On Sunday, Mr. Serpa Soares attended an event during which ICC Prosecutor Fatou Bensouda officially launched the Policy on Sexual and Gender-Based Crimes of the Office of the ICC Prosecutor. Over the course of the week of 8 December, Mr. Serpa Soares met with the principals of the ICTY and the ICTR who visited United Nations Headquarters New York to present their respective reports to the Security Council. He addressed a special commemorative event on the occasion of the 20th anniversary of the founding of the ICTR on 10 December. 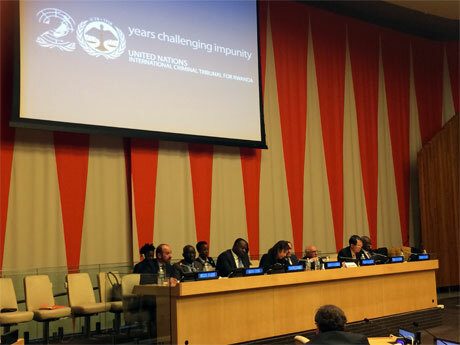 Mr. Serpa Soares addresses a commemorative event to mark the 20th anniversary of the founding of the ICTR. 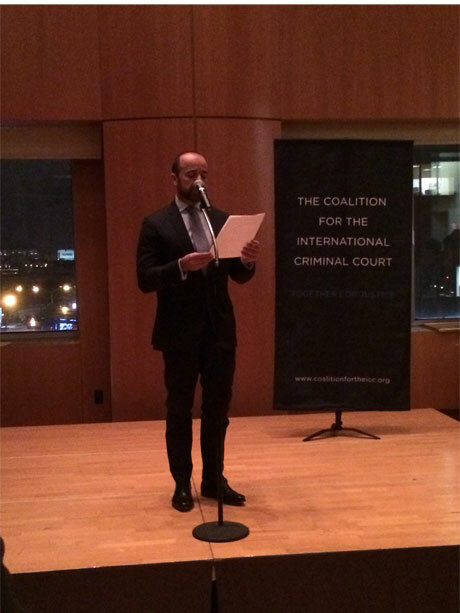 On 12 December, the Legal Counsel represented the Secretary-General at a reception hosted by the Coalition for the International Criminal Court and delivered a message on behalf of the Secretary-General to the numerous NGOs and civil society organizations that were participating in the 13th session of the Assembly of States Parties to the International Criminal Court in New York. On 15 December, the Legal Counsel opened the 2014 UN-ICC Round Table, together with the President of the International Criminal Court, Judge Sang-Hyun Song. The Round Table brings together experts from the UN System and representatives of the ICC’s principal organs to discuss matters of UN-ICC cooperation. In the margins of two intensive weeks during which international criminal justice was at the centre of OLA's attention, Mr. Serpa Soares held a number of formal and informal meetings with key partners and other major stakeholders. For the Legal Counsel 2014 ended in the same way in which it began: with his active support for accountability and the cause of international criminal justice.